Yum! 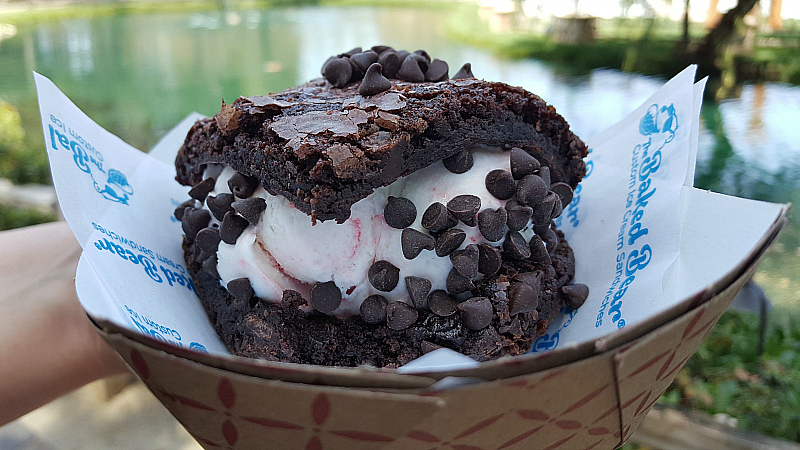 Ice cream sandwiches are a good thing and The Baked Bear definitely knows how to do it right! 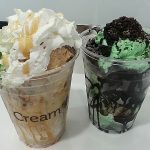 I had the pleasure of enjoying a custom ice cream sandwich from their food truck, but they also have brick and mortar locations. 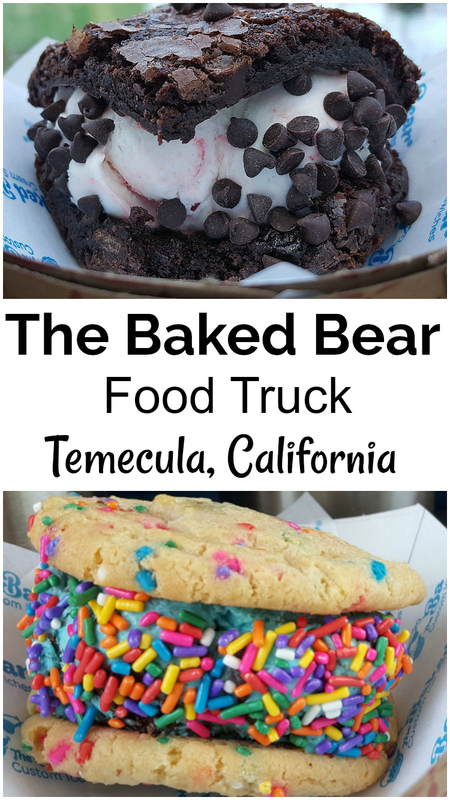 At The Baked Bear, you get to choose your cookie, ice cream and toppings, so your treat will be made exactly as you want. 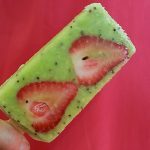 I love being able to customize my food and this works really well for ice cream sandwiches. I tried two of them, since everything looked so good! My favorite based on taste was the mint chip ice cream with brownies. 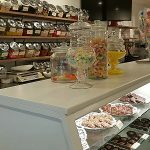 Loved the chewy brownies and the rich flavor of the ice cream. However, if you're looking for some brightly colored fun, I've got another recommendation. The blue Bear Batter ice cream is great with funfetti cookies and sprinkles. 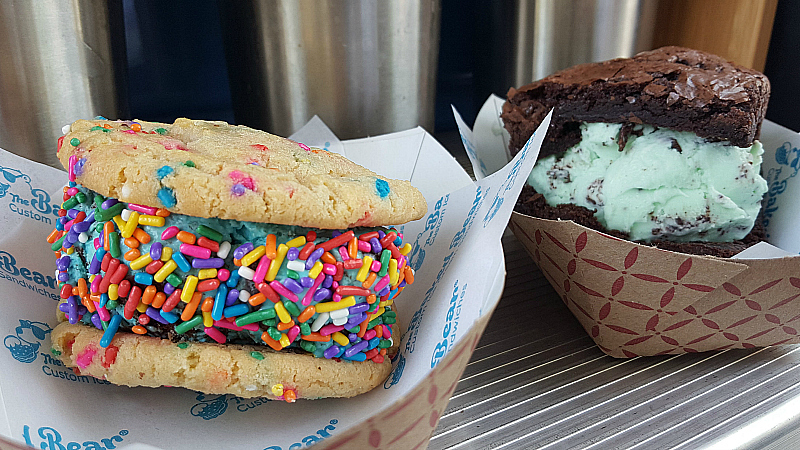 Custom ice cream sandwiches are great for a treat and it's lots of fun to hire their catering truck for a special event. 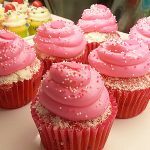 I thoroughly enjoyed my treat and am getting hungry all over again looking at these photos! Also, check out my other temecula articles and photos.